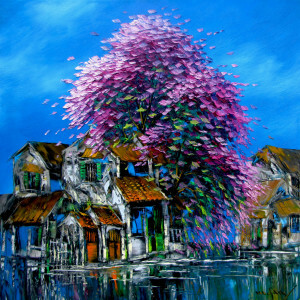 This is a beautiful representation of a Plamboyant tree in blossom by the river by Minh Son, by one of the renowned landscape painters of Asia. 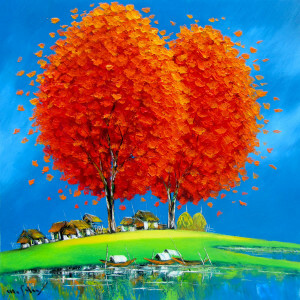 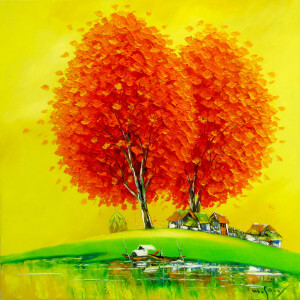 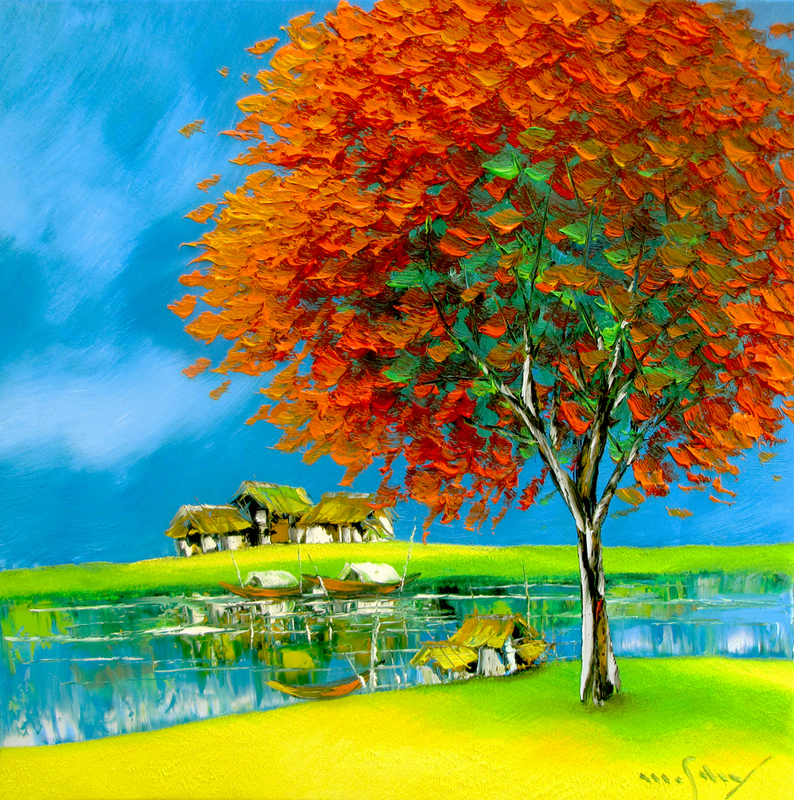 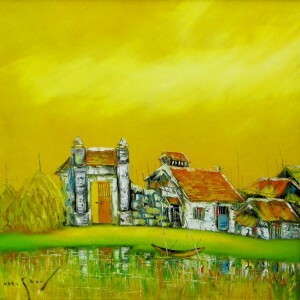 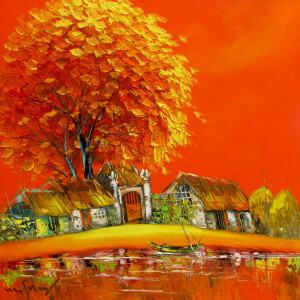 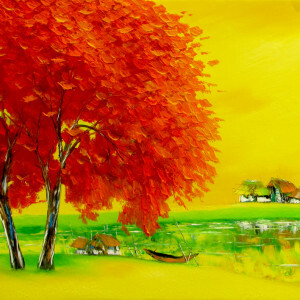 The brilliantly colored Plamboyant or Flamboyant trees hold a unique position in contemporary landscape paintings of Vietnam. 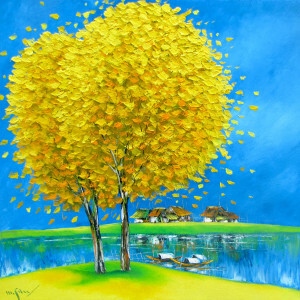 This composition bears all the marks of Minh Son’s signature style, well balanced composition with vivid colors.